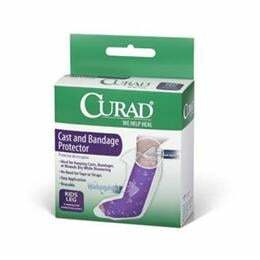 Curad Cast Protectors: Curad Cast Protectors Are Ideal For Keeping Cast, Bandages Or Wounds Dry While Showering. Its Unique Patented Design Allows For Easy One Hand Application And Eliminates The Need For Tapes Or Straps. Available In Both Youth And Adult Sizes. Kids Leg, 2 Count.